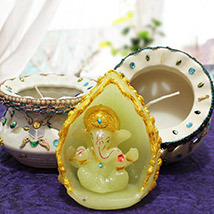 Send Diwali Candles to India : FREE SHIPPING!! 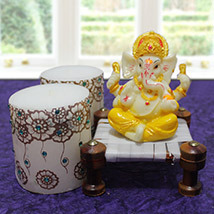 Diwali Candles: A Gift to Light & Decorate Home! 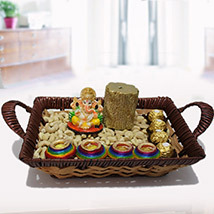 Diwali is the time when India lights up with the glow of candles, diyas and electronic lighting options. 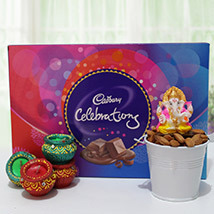 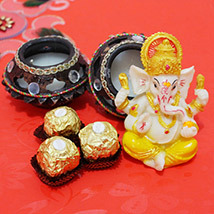 After all Diwali is the festival of lights which is celebrated with great fervor in India. 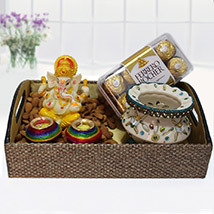 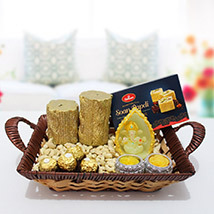 Thus when it is the festive time for Diwali and you are confused about the thought of what to gift your loved ones then it can be nothing much better to surprise your dear ones with designer and Aromatic Diwali Candles. 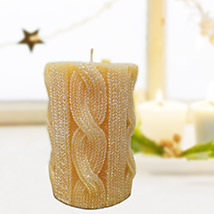 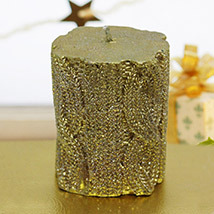 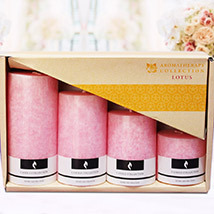 It’s a perfect gift to help loved ones in decorating their home with the lights of colorful and designer Candles that has aromatic fragrance as well. 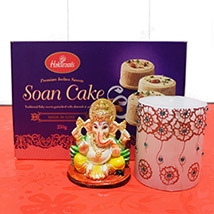 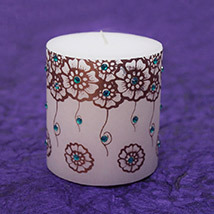 Here in the range, there is variety of such lucrative Diwali Candles options to choose buying. 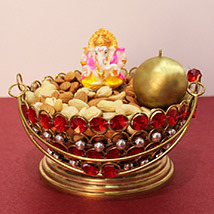 Some of these are Buddha Candle holder, Elephant candle Holder, Virtual LED candle, Dazzling Thali, Pink Delight, Decorative Lotus, Designer candle, Rose garden delight, Illuminated Tortoise Decorous Assortment For Diwali, Antique Glass Candle For Diwali, Diwali Divine Buddha Combo, Diwali Divine Buddha Combo, Lotus Candles For Diwali, Pink Candle Set For Diwali, Cute lanterns For Diwali, Natures Present For Diwali, Diwali Amazing Jute Candle, Wood Candle For Diwali, Diyas N Ganesh, Decorative Diya, Exclusive Diwali Set, Set of 3 T Light Holders, Bright T Light Holder, Ambience Buddha Gift, Set of 4 Rose Diyas, Colourful Diya Candles, Matki T Light Holder, Floating Candle Holder and many more. 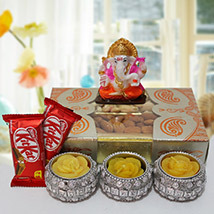 So hurry and place order, right now!